Her mom worked for the ACLU—and Ruth Bader Ginsburg—in the 1970s. Now Alison Beyea runs the ACLU of Maine and her daughter is planning a career in environmental activism. 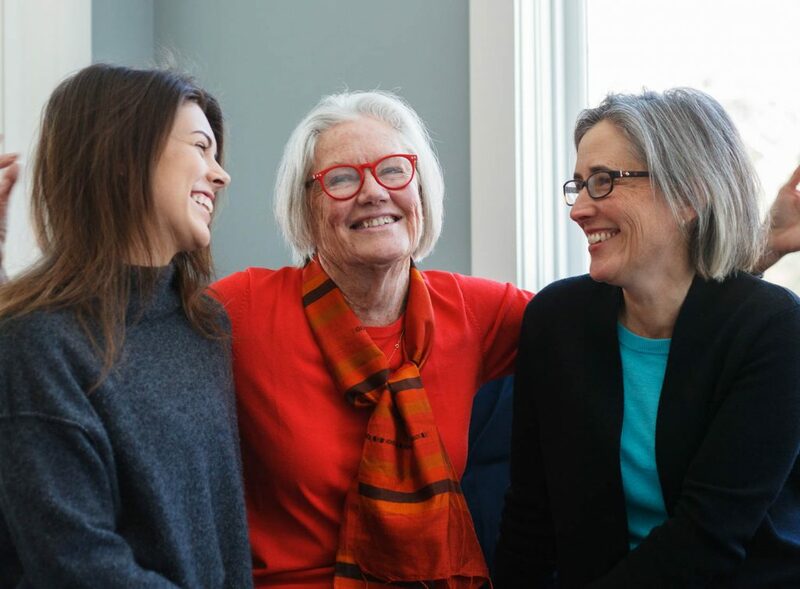 At her home in Cumberland, Alison Beyea sits at a sunny table with her daughter, Annabelle Adams-Beyea, and her mother Patricia Ramsay, talking about the family business: social justice. Alison is the executive director of the American Civil Liberties Union of Maine. Patricia’s involvement with the ACLU has spanned decades, and Annabelle has her sights set on a career in environmental activism. The women are close; they’re joking about the blondies Beyea—who is “not a baker”—is cooking for the office bake-off. But as they discuss their work, warm banter takes a backseat to a chronicle of civic purpose, hard work and tenacity. By the mid 1970s, the social justice movement was gaining momentum. “Across the country, people were saying, ‘Oh, I didn’t know that was illegal’,” Ramsay says. Many injustices were running largely unchecked, in part due to lack of knowledge. The ACLU sought to inform the public of their rights by publishing a series of paperback books with straightforward instructions on how to legally combat discrimination. Each book was its own project, and Ramsay leapt at the opportunity to work for the ACLU’s Women’s Rights Project in New York City, where her boss was Ruth Bader Ginsburg. “She was everyone’s boss!” Ramsay says, laughing. A graduate of Kenyon College, Beyea, 48, majored in politics and went on to attend the University of Maine School of Law. She worked as a legal services lawyer specializing in juvenile rights at Pine Tree Legal Assistance and spent a few years as the director of admissions at the University of Maine School of Law. In 2014, Beyea took the executive director position at the ACLU of Maine after Shenna Bellows left the organization to run for Senate. At the time, the ACLU had prioritized abortion rights and criminal justice reform. While working on these issues, Beyea encountered a general unwillingness to talk about inequities in America, particularly in the criminal justice system. “The criminal justice system is just another way of oppressing low income and people of color,” she says. “It is a re-entrenchment of discriminatory laws.” Here in predominantly white Maine, she explains, it has been historically easy for some to deny racism is an issue. “Not only is it an issue,” she says, “but not shining a light on it as progressive organizations was making it worse.” One of her first objectives as executive director was to refocus the lens, looking at issues with sharper attention to racial equity. She believes since the 2016 election, the view that there are systemic prejudices has gained broader support. “I’m excited to see how many people want to join in this work and have uncomfortable conversations,” Beyea says. “We need to figure out how all of our systems, including the nonprofit systems, perpetuate institutional racism.” Changing inherent bias is hard work, “but it’s important work, and we are committed to doing it,” she says. Since 2016, Beyea says the organization has been consistently combatting attacks at the state and federal level on the established rights of immigrants, people of color, and vulnerable populations. Beyea’s office employed seven people in 2015. Now they’re a staff of 15, and they could easily double in size again. ACLU membership in Maine went from 1,800 in 2015 to over 10,000 since the election. Nationally, membership is 1.7 million, up from 400,000. And although that growth is ultimately positive, it also puts new demands on resources. Annabelle Adams-Beyea, sitting between the two older women, nods. This is a simile she has clearly heard before. Home from her first semester at The New School in New York City, Adams-Beyea recalls her first memory of political activism, at age 8. “Obama was running for his first term, and I had the Obama t-shirt. 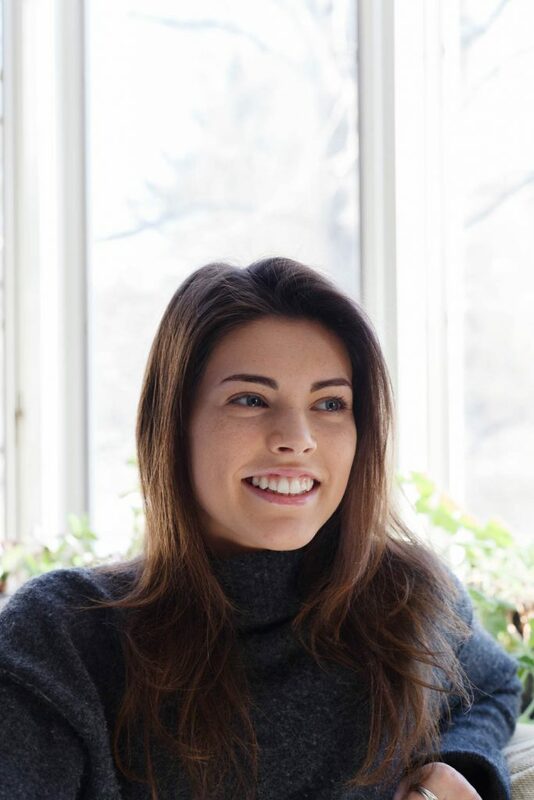 I don’t think I really knew what I was doing or understood the larger implications, but I remember going to events where I had to wear the t-shirt,” she says with a laugh. As a teenager, she attended her mom’s speaking engagements and ACLU events, to show support and because she was interested. She rallied and canvased and also volunteered for Environment Maine. Today she’s majoring in environmental science. Adams-Beyea is following the path of her grandfather, Jan Beyea, a physicist, environmentalist, and former Chief Scientist and Vice President of National Audubon Society, and her father, Kurt Adams, who has worked in the alternative energy industry and exposed her to conservation at a young age. But her mother’s and grandmother’s dedication to social justice are very much at play in her career plans. At the other end of the table, Ramsay is nodding. “We don’t stop to think about how lucky we are and have been,” she says thoughtfully. 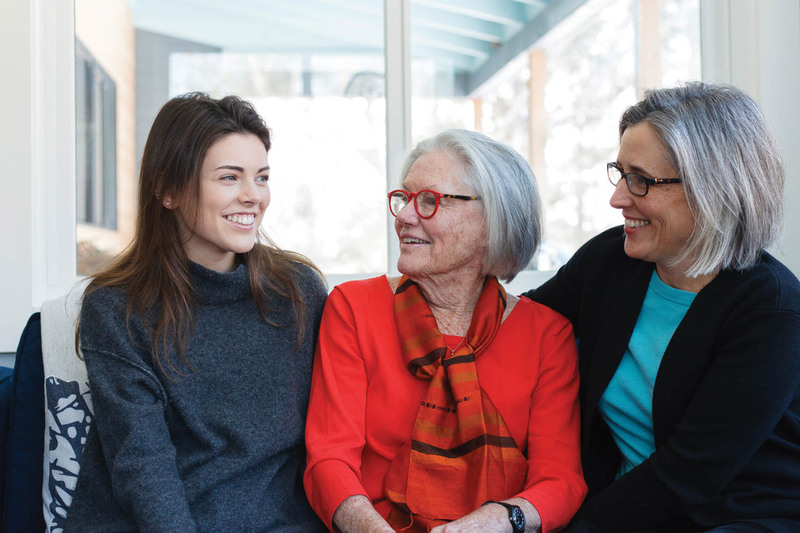 For this family of activists, “we” is the operative word.